You recently won the title of Single Outlet Retailer of the year in the American stage of Whisky Magazine’s Icons of Whisky 2016 awards – tell us what makes Astor Wines & Spirits stand out as one of the finest whisky retailers in the region? Astor is interested and excited by the products we sell. By staying curious about what is new and exceptional, we all share in a process which just seems to stay fresh. While we strive to be comprehensive and encyclopedic in our offerings, we also try to curate our portfolio to include only the best possible items at a given time representing the highest values for our customers. Give us a brief history of the company and an overview of what your store offers in terms of product range. Astor Wines & Spirits has been a family-run business since 1968. With 11,000 square feet in Noho New York, we can offer a scope of options to our customers that is broader than most metropolitan stores. What do you think differentiates your store from others in terms of providing a unique customer experience? Astor maintains a close integrated relationship between the buyers and sales staff. The interests and curiosity of both is supported by an eclectic customer-base. What is new, different, and exciting has appeal throughout the enterprise, and allows us to seek out what we find exciting and share those discoveries. How much importance do you place on the knowledge of your staff and their ability to educate the costumer about whisky? This is indispensable. Without the customer’s confidence in the knowledge of the sales staff, and the staff’s first-hand knowledge of the item, new and interesting offerings will have no support. You have a dedicated ‘Cool Room’ for storage – how does this add to the quality of the products you sell? Wines who need temperature-control are available in our 58 degree Cool Room (and stored in facilities with temperature-control). These wines are identified by our head wine buyer, Lorena Ascencios, and include a number of biodynamic and natural wines in addition to the old and rare. Customers who understand these wines know that such conditions are requisite. Can customers easily sample their dram of choice? Astor maintains a vibrant tasting schedule which we share with our customers through email notifications and in-store signage. 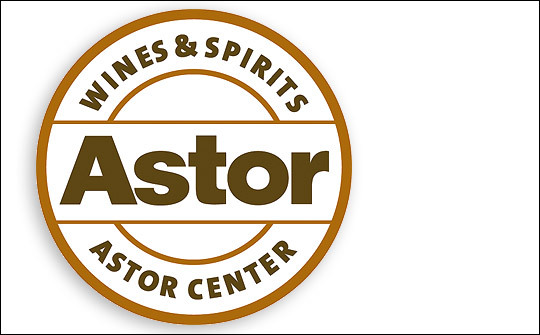 In addition, our sister company, Astor Center, maintains separate facilities (www.astorcenternyc.com) where we offer classes in all the subjects that interest our clients in spirits, cocktails and wines. So the interested customer has a number of ways to expand his/her understand. We don’t see growth as a goal, but rather a reflection that Astor is successfully engaging its customers with the products and service they want. Our customers’ needs change, and so must we, but it is all driven by offering interesting wines and spirits and finding ways to share our excitement. What exciting new products can customers look forward to seeing in store in 2016? Both in the spirits and wine worlds, there are a growing number of knowledgeable and artisanal producers. With a bounty of new and interesting products – and an engaged public – there will be no shortage of offerings. Hyper specific specialty offerings like liqueurs continue to demand shelf space. Also, as the explosive craft spirits market enters a new phase of maturity with it comes a new bounty of selections that cover all spirits categories and nearly every state in the country as well as abroad so expect a lot of new names on the shelf. Is there anything special coming up over the Christmas period? Astor is very excited about the release of Escubac. This is the first offering of a new firm based in London, Sweetdram ( www.sweetdram.com ), which is focused solely on liqueurs. (The two partners met while studying for the Master’s in Distilling degrees in Edinburgh.) Escubac is distilled at Combier in Saumur and is a reimagined version of an old French liqueur. One of the founders, Daniel Fisher, was formerly associated with Astor, so we are especially excited.